Holy moly. I hardly know where to begin. I was beyond excited to learn that Vogue Knitting Live was coming to town; of course, I had to go; I had high expectations; it didn't disappoint. My pal Narayani and I headed downtown to the Palmer House early Saturday morning to take full advantage of the market place. I've been to Stitches Midwest and local fiber fests before, so I had a good idea what to expect. The market can be a bit of a sensory overload if you walk in without a plan. Our approach was to take a lap before we decided what we wanted to buy. It mostly worked out. I love to look for yarn varieties I don't have access to at my LYS. I think it's really fantastic to have a tactile experience with new yarns and see samples knit using them before ordering them blindly online. We were able to test-knit qiviut in the yarn tasting area...which might be the only time I'm ever able to knit with this delish fiber; although, the idea of a year long yarn diet to save for a sweater's worth did cross my mind (1,090 yards = $490!) We were also able to check out yarn spun from 100% mink (ethically collected; I asked) paper yarns and steel yarns. We dropped in to visit the Windy City Knitting Guild and added a couple rows to Maureen O'wool. There were a variety of fiber artists displaying their work. Kelly Fleek's sculptural hat creations were among the most unique and whimsicle pieces we saw. Narayani and I both wanted to take these felted friends home with us to admire forever, and ever. The knitted presidents collection (many more not pictured) were the most patriotic knits we saw. We had the pleasure of meeting designer Ann Weaver, (Ravelry), and she was lovely enough to sign a copy of her book White Whale Vol.II for me. After the market, I listened to the Yarn Harlot talk about how amazing knitting is for our brains. I came home with yarns from Habu Textiles. This booth was my favorite. The yarns are completely unexpected and unlike anything I'm used to. The grey is a cotton yarn destined to be this pattern. And the white/black is a yarn constituted from 100% Rayon. It's going to be this jacket when it grows up. Both of these are yarns I wouldn't have gravitated to without having seen them in action. I grabbed a bag of Louisa Harding Willow Tweed in a 50% off bag sale; SCORE! I couldn't resist coming home with a skein of sock yarn from Karida Collins' Neighborhood Fiber Company. The colors in her yarns are SUPER SATURATED and amazing. I was drawn to them like a moth to a flame. Last, but not least, my copy of Whit Whale V.2. I left feeling completely inspired- Such a great day! 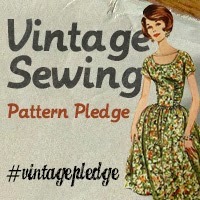 Please, please, please Vogue Knitting Live, come back soon. OMG. Your yarns are glorious! That sakasama jacket is amazing, and will definitely be perfect on you. I'm so glad you went and had a great time - you'll have to tell me all about it tomorrow. I think we should make an octopus and call him "Charlie" - thoughts? Habu Textiles is a store in NYC if you are ever in the area! Lion Brand also sells steel yarn. Next time I'm home, I'm going to pick up a cone. I think it could make some really interesting jewelry. I hope I'll be able to go to Vogue Knitting NY and see wonderful things like you did. Great pictures of Vogue Live. I would love to go to the one in NYC. Ann Weaver's sweater looked really interesting; will check out her White Whale. WOW!! I am incredibly jealous right now, that looks amazing, and the Yarn Harlot, I bet she was great! I wish NZ wasn't so far away from all these amazing shows! 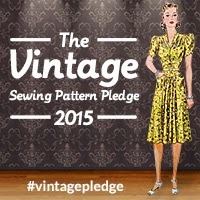 Please please please Vogue Knitting Live - come to the UK!!! Wow ... I would love to be able to go to something like that. Thanks for all the pictures! really tickled to see my needlefelting on your blog :) glad you liked them . looks like VKL was a blast!